Your garden awaits right outside your window. The apple tree is laden with fruit and the arbor is draped with grapes. Sunlight filters through the foliage to warm the stone path. 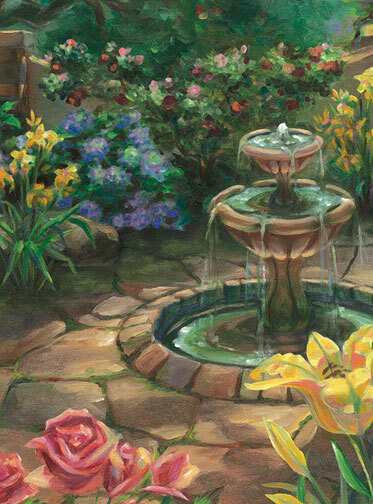 Your can almost hear the water trickle from the fountain and birds sing in the trees. Roses and daylillies seem to sway outside the window. 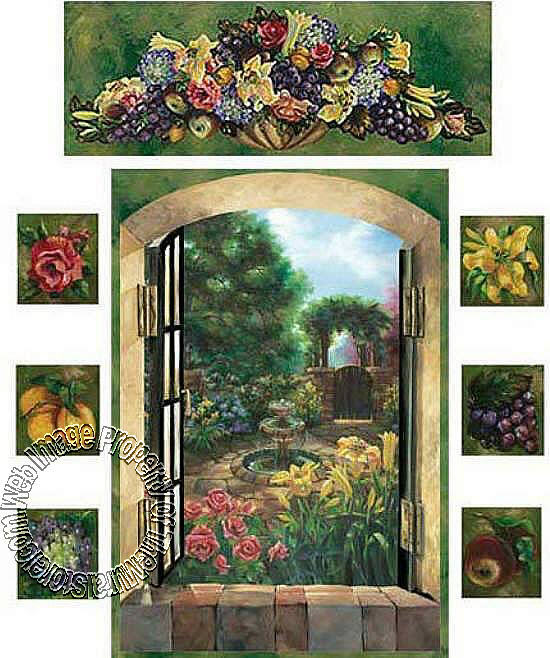 No pruning, watering or fertilizing required. Just sit back and enjoy the view.